Is your group a strong, healthy team? In this guest post, some insights from Quinn McDowell, a writer who knows a lot about teams. The key to any healthy relationship is the ability to communicate clearly and effectively. Teams are a complex web of relationships that must be nurtured and developed. Nothing undermines team chemistry more than deceit and dishonesty. A good coach understands they must communicate on three unique levels: with their team, their players, and the player’s parents. There are literally hundreds of different relationships when you take into account these various levels; players to players, coach to players, players to parents, parents to parents, and coach to parents. These subsets of communication have a huge contribution to the overall culture of the team. The coach is the most important cog in this communication vortex. Coaches must maintain consistency across this spectrum by setting clear expectations and making a habit of telling the truth. “Truth-telling” often requires the courage to present the reality of difficult situations; although difficult at times, honesty is always the best policy when dealing with tough issues like playing time, tryouts, a players role on the team, etc. Players and parents can choose to disagree with content of the coach’s communication, but if the coach has reliably communicated the truth with all parties involved, then his/her credibility will remain intact and team culture will remain healthy. A counterfeit will always be exposed. Coaches, players, and parents owe a level of transparency to one another when they make the decision to function as a team. One example of how transparency can undermine trust is when I was part of a team where the coach told us that our captains would be selected by a team vote. After the votes were counted and the captain was named, it was clear that the coach had already decided who was going to be captain and the votes had little input into the decision. The problem is not that coaches shouldn’t pick captains, but that the entire process lacked transparency. If the coach had told us from the outset that he was going to pick the captains, this would have been highly preferable to leading the whole team to believe our votes had an impact in the decision. 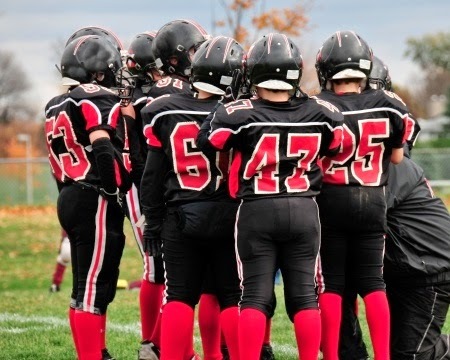 Another example for how parents can practice transparency would be communicating with a coach in advance when their child will miss practice or a game because of family obligations. I've seen many parents lie or withhold the truth from the coach in order to protect their child. Then at the last minute the parent will spring a surprise absence on the coach before an important game or week of practice. Transparency builds trust and trust is essential to healthy teams. Over the course of the season, players must learn to trust in their coach’s leadership and a coach must learn to trust in his/her player’s character. Mutual respect is the bedrock of healthy teams so that when the inevitable storms of a season arrive (i.e. losing games, injuries, gossip, etc) the team is able to survive the challenge because they trust and respect each other. The deep-seated belief that everyone on the team has the group’s best interest in mind is a powerful sedative against the craziness of a season. The best teams learn to insulate themselves against the outside influences that would seek to destroy their chemistry and pull them apart. Trust grows out of transparency and truthfulness and is the cement by which healthy teams are built. Sports have the rare ability to expose our deficiencies and grow our character which forces a team to either create a bond of trust or allow personal shortcomings to divide the team. Team togetherness and trust are one of a few things that you have complete control over. The season provides the time and context for teams to learn to trust each other and come together, or splinter as individuals. Trust depends on the character, consistency, and selflessness of everyone involved. The coach sets the tone, but the players and parents build the culture. What type of a culture will your team build?